Essential oils have been a huge addition to our healthy lifestyles. You could say they have changed our lives – and believe us, we were skeptics when we were first introduced to them. How on earth could a sniff of this or a rub of that help to improve our family’s health or wellbeing? But before we explain why essential oils are so great, you might be wondering what they actually are! Kelly’s older son sometimes has a hard time calming down at night enough to fall asleep. Diffusing lavender in his room before bed and while he sleeps has helped him tremendously. Tamara sometimes has a hard time concentrating when trying to work from home and diffusing Rosemary, Peppermint, Frankincense and/or Lemon has helped her stay on task and get things done. Those are just two examples, but essential oils have also replaced many everyday products that we used to spend a fortune on. We now clean our homes with oil-infused natural cleaners rather than toxic chemicals from the supermarket, for example. We cleanse our faces with oil-infused natural products too. And everyone in the family benefits from using calming essential oils in the diffuser before bedtime! But don’t just listen to us! Here are some testimonials from other people on our oily team! In our opinion, no. We’ve done a lot of research into this and if you ask us, there’s one particular brand that stands head and shoulders above the rest: Young Living. One of the most important things we’ve learned in our journey to healthy living is that it’s not just what something is – it’s where it comes from, how it’s grown, and how it’s processed. Whether it’s blueberries fresh from the farm, or cows on green pasture, or a soft organic t-shirt, we know that the source matters. We did many hours of research to find an essential oil company that we felt we could trust with our family’s health. Young Living is that company: they truly care about quality. To ensure the purity of their oils, Young Living sets the bar high. We actually own our own farms and distilleries around the globe and follow a stringent process: Seed to Seal – the HIGHEST standards for planting, harvesting, and distilling on the farms they own and co-op! Many of our team members have visited Young Living Farms (Oh Lardy included!) and it is amazing. Check out the video below to see some of our team at Winter Harvest in Idaho! As a Young Living member, you automatically become a member of a big oily family that will give you all the support and advice you need! It’s a wonderful feeling to know you have the help and reassurance of a generous and caring community of moms, experts, and lifelong users. We’ve been using our oils for a long time, but we still reach out to the our close-knit community for their advice and expertise! 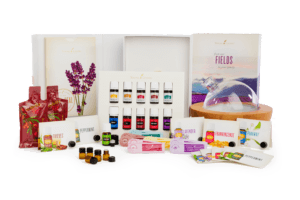 The Young Living Premium Starter Kit contains your everyday staples – all the oils and equipment you want to have on hand for a variety of situations. There’s an excellent user guide, too, which will help you understand how to use everything contained in the kit. Lavender, Peppermint, Lemon, Frankincense, PanAway, Thieves, Purification, Copaiba, RC and DiGize. 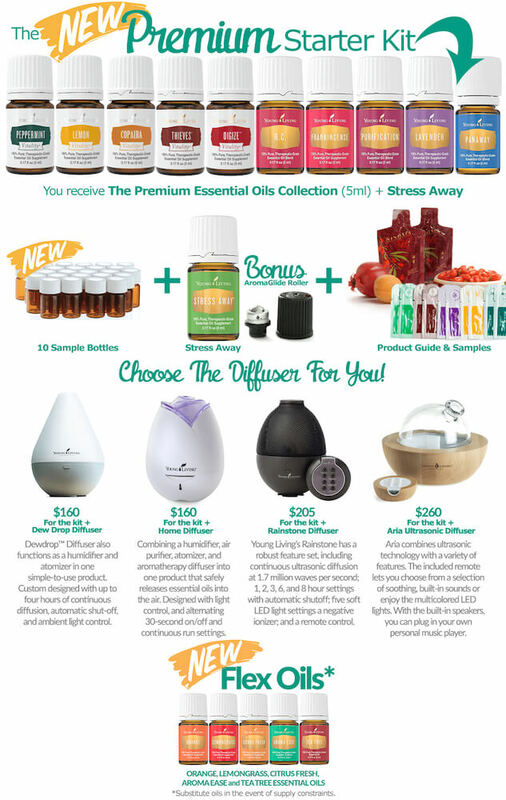 Plus a bonus bottle of the popular Stress Away blend.Scroll down to the bottom of the page to see how we use these essential oils every day. Home, Bamboo or Dew Drop. Turn any oil into a roll-on! An antioxidant drink concentrate that’s a great supplement for supporting health and wellbeing. These small sample bottles are perfect to share your oils with others. to use these oils to support your healthy lifestyle! 24% OFF ANY essential oil or product! You can even add additional oils to your kit and get the 24% OFF right away! NO membership fee and NO monthly minimums! 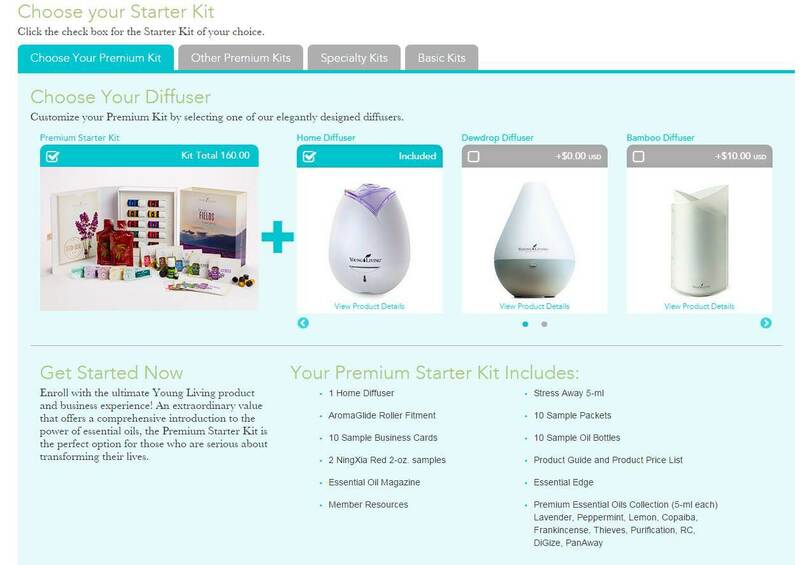 Premium Starter Kit with Free Diffuser Most Popular! This will allow you to purchase the Premium Starter Kit. You’ll be asked for your social security number in case you want to become a distributor of Young Living products in future. This information will never be shared with anyone. You’ll use to log in to your account and order any future oils. Sign up for the frequent buyers’ club called Essential Rewards (ER). When you join Essential Rewards, you’ll start accumulating rewards points for everything you buy, which can be used to get free products on future orders. There’s no need to join right away – you can purchase your Starter Pack first and join the ER club later if you prefer. We’ve had many folks miss this step and end up not fully checking out – and we don’t want you missing out on your oils! Includes naturally occurring constituents methyl salicylate, gamma-curcumene, menthol, and eugenol. Stress Away essential oil is a unique blend of stress-relieving and relaxing essential oils that can help reduce tension. Includes naturally occurring constituents limonene, eugenol, and eucalyptol. Includes naturally occurring constituents like menthol, citrol, and zingiberen. When traveling, use DiGize as a dietary supplement in your water. Take as a dietary supplement. Congratulations on starting your oily adventure! We’ll be sending you a welcome email soon, which contains tons of resources and information about getting started. As a member of the Oh Lardy’s essential oil team, you will receive amazing support including one on one support, education, training, classes and education. If you would like to schedule a time to talk about essential oil options or how to get started with Young Living, we’d be happy to help. Click here to send us an email and we will get back to you. Young Living is a company that promotes a lifestyle of wellness, purpose and abundance. Our team is committed to sharing and educating our members toward living a life of optimal wellness. As a member of our team you are given a variety of tools to support your journey: reference book, oily accessory kit, private ‘members only’ forum, email series, classes and more! You will fall in love with what Young Living products can do for you. 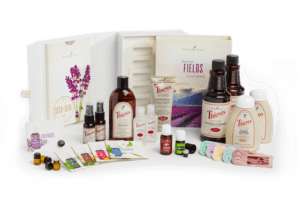 When you are ready to start sharing Young Living with your friends and family, we have a private business training forum along with a 30 day training program for our team. We give you access to numerous business resources to help you succeed! 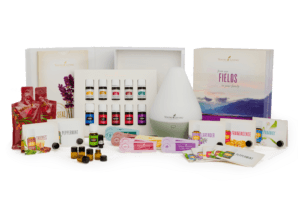 When you join our Young Living team, you are joining an entire community of people dedicated toward living a healthier lifestyle. In our private ‘members only’ forum, you will be able to share testimonials, learn from other team members, participate in fun essential oil giveaways, and connect with the team as you continue on this journey.